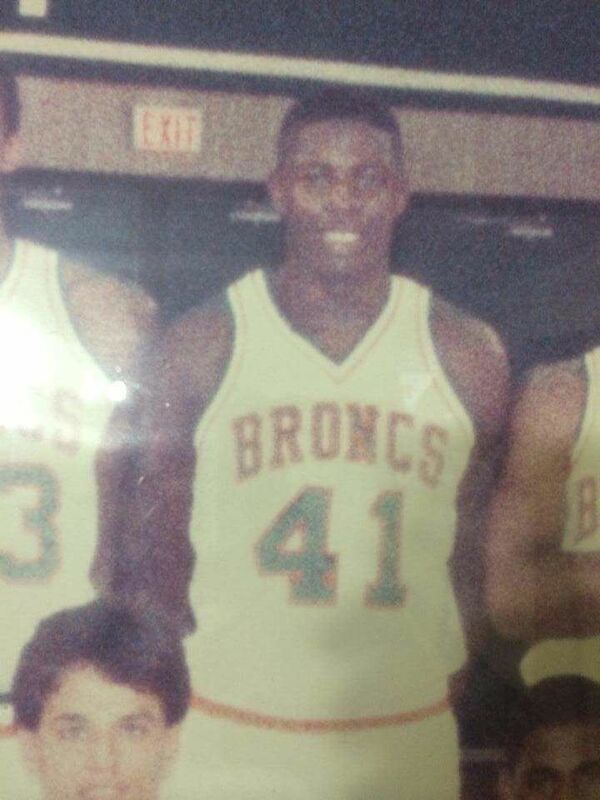 Roy Swift is seen during his playing days as a Pan American University Bronc. 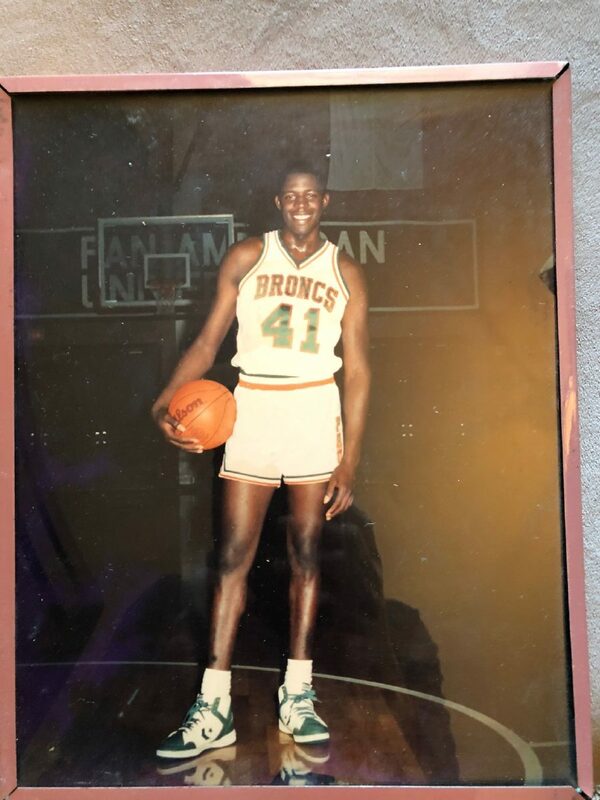 He played with the Bronc basketball team for four years beginning in 1984. McALLEN — Coach Roy Swift often told a story about one of his McAllen High players who took time off from the team to attend to the burial of a relative. On the day of the team’s next game, the player was waiting outside the gym when Swift arrived at 5 a.m. Swift noticed the player’s hands coated in dried blood and blisters and realized the teen had actually helped dig the grave. The teenager asked Swift if he could play — a moment that figured in Swift’s pregame speeches for years to come. “He would say: ‘If that kid was willing to do whatever it takes, what is your excuse?’” recalled Rick Treviño, the current Mercedes coach who was one of Swift’s assistants at the time. Roy Swift is seen with his daughter Monique in an undated photo. Roy Swift, left, is seen on the sidelines of a high school basketball game in an undated photo. 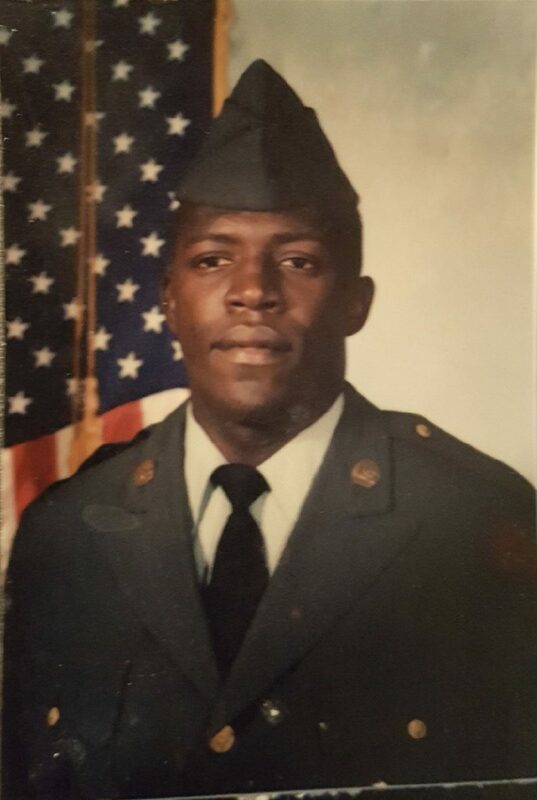 Roy Swift is seen in uniform during his time serving in the Army Reserves. Swift delivered many powerful pregame speeches during a more than 20-year coaching career that included seven seasons at Weslaco High and four at McAllen High — the final Valley stop for the former Pan American University forward. 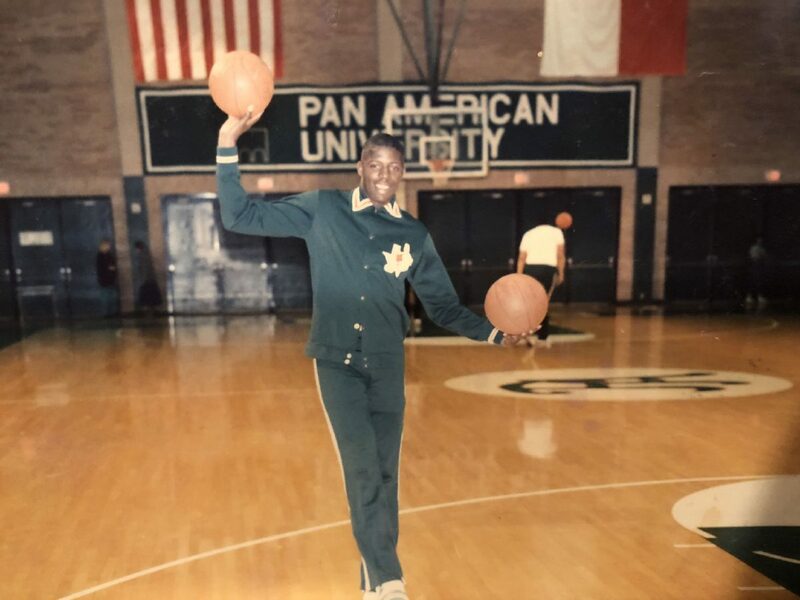 Almost everyone who came in contact with him came away with the same feeling: He was a hardworking man who radiated optimism and made an imprint on Rio Grande Valley basketball that will last for generations. Swift died on Jan. 13 due to complications from blockages in his arteries. He was 51. Swift left McHi in 2010. He moved to Aurora, Colorado to be with the woman he fell in love with, Arleta Moon. They had a daughter, Monet N. Swift, who is now 2 years old. Swift took a year off from coaching when Monet was born but had recently returned to the coaching ranks as a girls junior varsity coach at Hinkley High School in Aurora. He was born in a little town called Alamo, Tennessee, on June 16, 1966. He moved to Detroit at a young age and saw plenty of his friends fall victim to the street life. But Swift wanted more, so he dedicated himself to learning everything he could about the game of basketball. Though Swift left Detroit, the lessons he learned and things he saw came with him. Those memories later served as valuable lessons to the hundreds of players he coached through his career, the bulk of which was spent in the Valley. Swift was recruited out of Southwestern High School in Detroit to play basketball for Pan Am coach Lon Kruger in 1984. During his sophomore year, Swift “hit a 17-footer at the buzzer to beat Stetson” for the team’s ninth win in a row, according to Edinburg reporter Greg Selber. As a senior, Swift averaged 5.5 rebounds per game. Swift played with Weslaco greats Art Castillo and Gabe Valdez during his time at Pan Am. Valdez later took over for Swift at Weslaco after Swift filled the job at McHi. 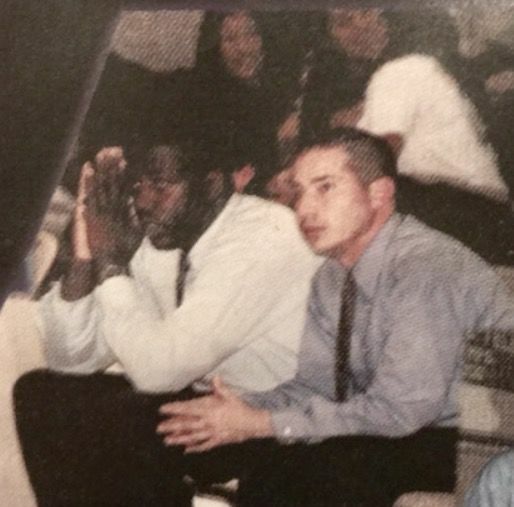 Swift began his coaching career in 1996 at Kenneth White Junior High School in Mission. After three years, he was brought on as the coach at Weslaco High. There, Swift hired current Harlingen South coach Brian Molina as an assistant. Shortly after Molina was hired, Swift asked him to come to the gym to meet. When Molina arrived, the gym was eerily quiet, and all the lights were off. As Molina approached the locker room, a faint noise grew into a coherent sound: the lyrics of Whodini’s hit “Freaks Come Out at Night” echoing through the locker room. Swift was deep in thought over a dry-erase board, designing new plays. Swift was in his office by 4 or 5 a.m. every morning to begin preparations for his 6 a.m. practices. He enlisted in the Army Reserves just after he married, and that discipline showed in how he coached. Swift watched hours of film, all the way down to the shot of his seventh or eighth guy off the bench. He wanted each of his players to leave his team better than when he got there. Swift took great pride in seeing his former assistants and players go on to the next level or become head coaches. Coaches closely associated with Swift include Treviño at Mercedes, Molina at Harlingen South, Jacob Alegria at South San Antonio and Eric Steinbrunner at PSJA Memorial. Swift also worked with former Valley coaches Joey Tate, Zeke Rodriguez and Mark Knuckles. Swift’s imprint is evident in many different facets of these coaches’ techniques, Treviño said. One of Swift’s players, Ryan Evans, went on to play at Schreiner University before joining the San Antonio Spurs financial office. Another player he coached, Cody Dukquits, became a strength and conditioning coach at Georgia Southern. Swift stayed in contact with his players and assistants throughout the years. Even 15 or 20 years after they parted ways on the court, some called him almost daily. During Swift’s first year at McAllen High, a freshman by the name of J.J. Avila quickly earned his trust, and the two became inseparable. In Swift’s later years, when he was living in Colorado, he attended some of Avila’s games at Colorado State. Avila had a standout college career and eventually ended up in the G League, where he now plays for the Texas Legends. “They were like the best of buddies,” said Monique Swift, Roy’s eldest daughter and only child from his marriage. Swift met his ex-wife, Monica, at Pan Am. She became a track coach at Sharyland High after her collegiate career as a triple jumper and long jumper. Monique was born in 1993. 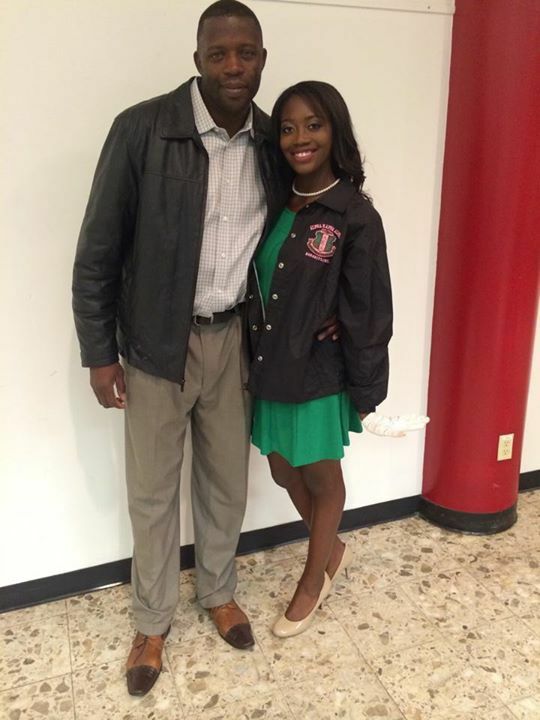 She grew up as a coach’s daughter. She was often at Saturday practices, and she attended many games over the years. Swift made the move from Weslaco to McHi before Monique’s eighth-grade year, which allowed Monique to play volleyball at McHi under longtime coach Paula Dodge. Roy and Monica were together for 20 years in total and married for 16. Roy was the adventurous one, so he always partnered with Monique on roller coasters while Monica watched from a safe distance. Most who came in contact with Swift agreed that he was a relentless worker, but he still made time for his family. “I think (my parents) had an understanding about how life was in season, but once the season was over, we took road trips. Our bonding time was very low maintenance,” Monique said. Monique has fond memories of watching TV with her father. Swift was selfless, constantly worrying about his players or his team. Swift lost his mother, Owanda Moody, and his older sister, Renona K. Howard, to cancer. Monique believes Roy didn’t want medical help because he was afraid of what the doctors would find. He was scarred by the losses he suffered. Monique and other friends have wondered if his death could have been prevented. 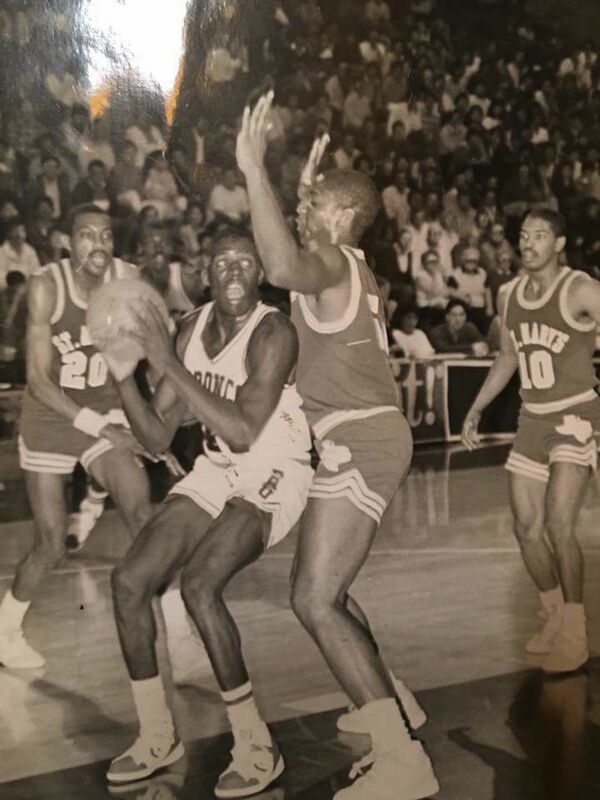 He played basketball in leagues with his colleagues through his early 40s, Monique said, and he golfed regularly. He seemed to be in good health before his passing, she said. Swift’s death was such a surprise, and such a blow, because his energy was always so high and his positive outlook was so infectious. “It is so hard to be around someone like that and not feel better,” Treviño said. That positivity permeated his career and life. His love for family and sunny disposition left Monique with something many yearn for when a loved one dies: the knowledge that they loved you, and you loved them. Monique said she still left some things unsaid. Monique struggled seeing Swift with Moon, especially after they moved to Colorado. Monique said as a high school student, her emotions after the divorce were confusing. She developed a resentment toward the church. She said she had to work to rebuild parts of her relationship with her father. Anyone who worked with Roy Swift could see that he loved his family. During Swift’s time at McHi, he coached a physical education class for kids with special needs, Treviño remembered. Kyle and that McHi player with the blisters got to see the real Roy Swift: the Swift who Molina and Treviño learned from for years; the Swift who was in love with his youngest daughter, just as he loved Monique; the Swift who loved the Detroit Lions, Michigan and Michigan State, and always teased his friends about their favorite teams. Memorial ceremonies for Swift took place across the country. He was buried in Detroit, and services were also held in Aurora, McAllen and Weslaco. Roy Swift’s story spans generations, and his impact has changed hundreds of lives. At his core, Swift was exactly the man that Casso described.